I’m sure nearly everyone has heard of reflexology, even if they’ve never actually tried it. I’m a huge fan of it and in the hands of a gifted practitioner, it’s deeply relaxing, renewing and healing. I actually prefer it to a massage and usually go into a wonderful state where I feel my body and mind completely relax and drift off (well the mind anyway). It’s like a mini holiday from the stresses and busyness of life. 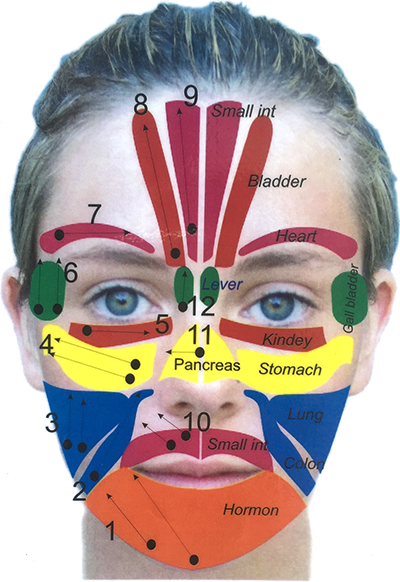 And now I’ve discovered facial reflexology which I’d never heard of before. Apparently it’s not that unusual, although still not as well known as foot reflexology. It’s popularity is steadily growing, however, throughout the world. So what exactly is it? Reflexology itself, is a very ancient form of therapy. It works on the acupressure points and meridians, which are channels that run along the body to allow energy to flow to access all parts of the body. There are many of these points in the feet and it turns out, in the face as well. By working on these points, blocked energy can be released and sometimes relief from pain can be achieved. I do know from experience that if, for example, I have a sore back, the corresponding point in my foot will be painful and somehow by working on that point I seem to get relief. The whole thing is so relaxing and enjoyable I don’t actually care what else it’s doing to be honest. 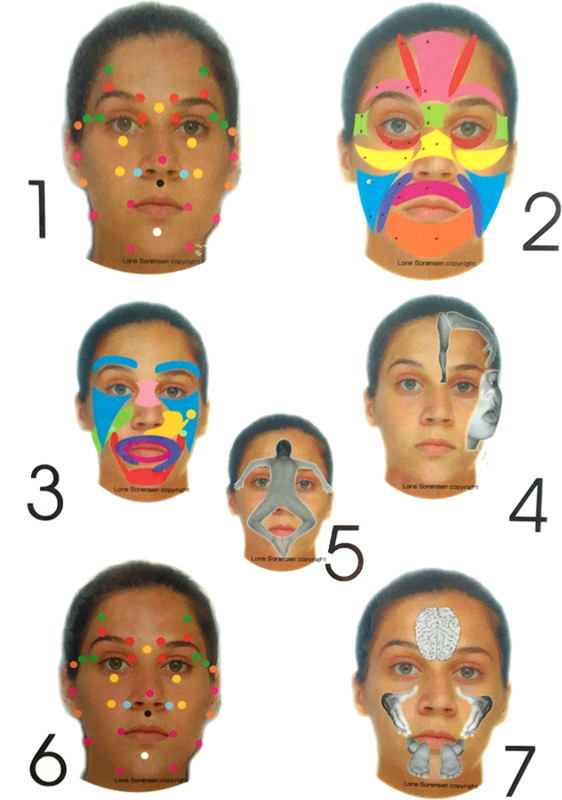 Facial reflexology in some form has been around for a very long time as well. The modern form of it was largely founded by a Danish reflexologist called Lone Sorensen. Her story is quite fascinating. After practising in Denmark as a foot reflexologist who sometimes worked on points on the face, she then moved to South America and found herself working with people with terminal illnesses and brain damage. She started researching neurology and oriental techniques. She then came across a tribe of Indians who had a unique method of facial therapy and spent two years visiting and learning from them. When she combined this method with the knowledge she already had, she started getting impressive results. She was able to help some of her very ill patients. She continued to travel and learn from different techniques from all over the world. I discovered this wonderful facial therapy through a friend who raved about it. She was very impressed with the skills and techniques of the practitioner, Shermine Boustany. Lots of people call themselves reflexologists or facialists or masseurs or whatever, but very few have the touch. The touch is special and it’s a real treat to find someone who has it. Shermine is one such gem. From the moment she touched my face I knew I was in good hands. As she describes it, facial reflexology is just as powerful as the foot version, or even more because of the proximity of the face to the brain. The messages get to the nervous system quicker. Using Lone Sorensen’s technique she used the 7 step plan. All sounds quite serious doesn’t it? Well it felt great. I haven’t relaxed like that in months. My face looked wide awake afterwards and my skin was glowing. I could swear my eyes looked bigger? The good news was Shermine didn’t find too many blockages, but she did do some work on my overworked adrenals (which become burdened with stress and crazy busy lives) and I definitely feel better for it. So which do I prefer, foot or face reflexology? Hard to say because although similar in the way they utterly relax you and give your system a boost, they feel quite different. I love having my feet done but equally love having my face massaged. The one difference I did notice is that my skin looked clearer and tighter afterwards and stayed that way for days afterwards. If you’re lucky enough to live in London where Shermine works, you will find her in west London. She works from home in Fulham and also at a yoga clinic in Kensington. She will even come to your home to treat you if you prefer. How wonderful to be able to snuggle up after a treatment and just chill or fall asleep? I’ve already booked her to come round to do both me and my husband but am now faced with a dilemma! Feet or face? Maybe a little of both? You can find out more about Shermine and her work at her website. Shermine! We need you in Beirut! !